Mix together all ingredients except for cookies and sprinkles and pour into 2 qt. ice cream maker. 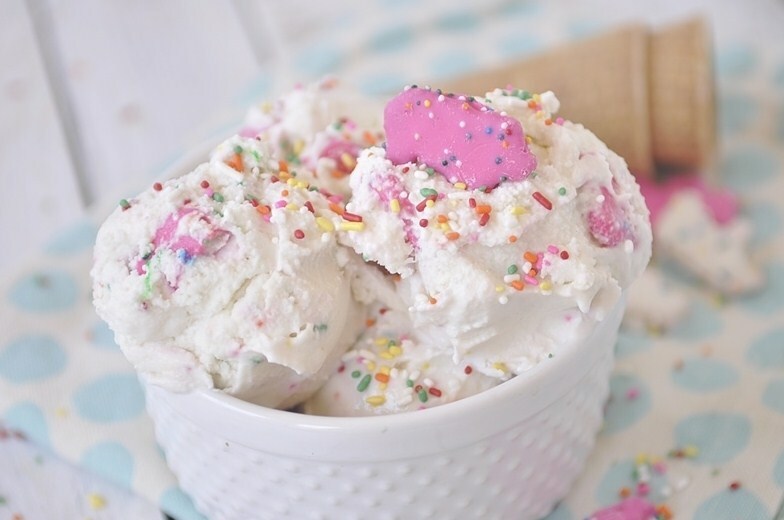 When ice cream is almost completely set up, add in cookies and sprinkles and process enough to get them incorporated. Place ice cream in freezer to firm up.